You see quotes on cards and refrigerator magnets with quotes by famous authors, disembodied literature ripped from its context. 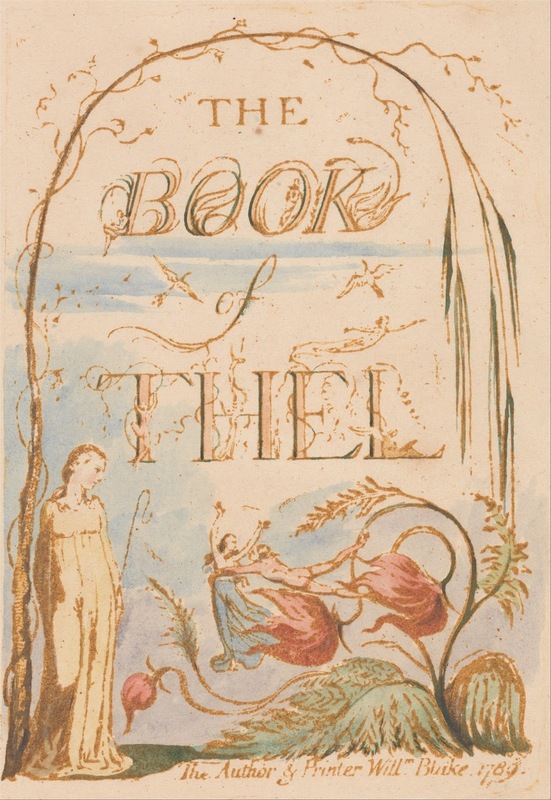 One of my students read out William Blake's The Book of Thel today and I recognized the line Every thing that lives / Lives not alone, nor for itself. I must have seen it in some wall art kitsch or as an instagram quote. It has a good ring to it but in context, it's grimmer and even more precious than I knew. 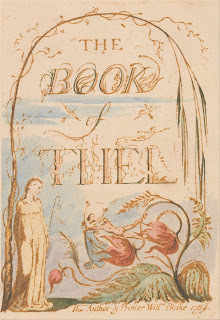 Thel, a beautiful maiden of the valley, disputes with a lily, a cloud, a worm, and a clod of clay on the evanescent of vernal life, spring fading and death coming after high summer. She learns that the clouds water flowers that are fed by worms and that she will one day be food for the worms to nourish the flowers. This line comes as the cloud comforts her in her knew knowledge. It stuck with me through the day, resounding in my head in my student's sonorous voice. Everything will come in time. We are connected, even if not speaking. Our lives are not our only. The stone falls. The placid surface breaks as ripples go out. We will never know just how much we touch other lives and other lives beyond those. We meet in the meeting of ripples.